The New England Patriots were once again a dominant force in the AFC, going 12-4 and earning the second seed in the conference. They scored the third most points in the league, only beat by the Broncos and Bears (by one total point). It was an unconventional year from a fantasy perspective however, as Bill Belichick used a running back by committee system with Stevan Ridley, LeGarrette Blount, Brandon Bolden, and Shane Vereen all getting carries. With Rob Gronkowski only playing seven games last season and the Patriots depending mostly on rookie receivers, Julian Edelman was the only consistent wideout. 2013 marked the first season in which Tom Brady’s performance declined noticeably, and it showed in his fantasy performance. He was the 13th ranked fantasy quarterback last season, which marked the first time he hadn’t been starter-worthy since early in his career. Touchdown Tommy struggled a little last season, but perhaps for reasons not under his control. His play was noticeably weaker in 2013, but he did only have one returning receiver and less than half of a season of his favorite red zone target. Losing Gronk was a real killer for Brady, as since Gronk has come into the league, Brady has played significantly better with him in the lineup. In fact, in the 50 games Brady has played with Gronk since 2010, he has averaged 25.75 fantasy points, 0.48 interceptions, 2.22 touchdowns, and 291.9 yards, where as in the 14 games Gronk has missed, Brady has averaged 21.24 points, 0.79 picks, 1.71 TD’s, and 264.29 yards. Those splits are striking and can tell two stories depending on how they are looked at. With the risk that Gronk misses games, it’s clear Brady will not perform up to his standards, but if Gronk is healthy, Brady has a chance to not only regain fantasy relevance, but to perhaps vault into the top five once again. We ranked him 10th in our QB rankings. Fumbilitis has hid Ridley hard throughout his career, and there are no worse places for that to happen than under the tenure of Bill Belichick. Ridley was benched for entire games last season, but don’t expect that again this year as LeGarette Blount is now a Pittsburgh Steeler. Because of Blount’s departure, Ridley has a chance to regain bell-cow status as long as he can hold onto the rock. His value is greatly diminished in PPR leagues, as he only caught 12 balls in 14 games last year, but if he has a fumble-free season he will greatly outperform his current ADP. We ranked him 34th in our RB rankings. Much like Gronkowski, Vereen’s value truly lies in the hands of the injury gods. In the eight games he played last season, Vereen averaged 15.875 points in PPR formats, which would’ve been good for sixth best, beating out guys such as Demarco Murray, Eddie Lacy, Reggie Bush, and Adrian Peterson. That being said, Vereen has not played a full 16 games yet, three seasons into his career. With LeGarette Blount out of New England, Vereen has a chance to earn some carries along with continuing his third down role, so if he stays healthy expect a monster season. We ranked him 19th in our RB rankings. 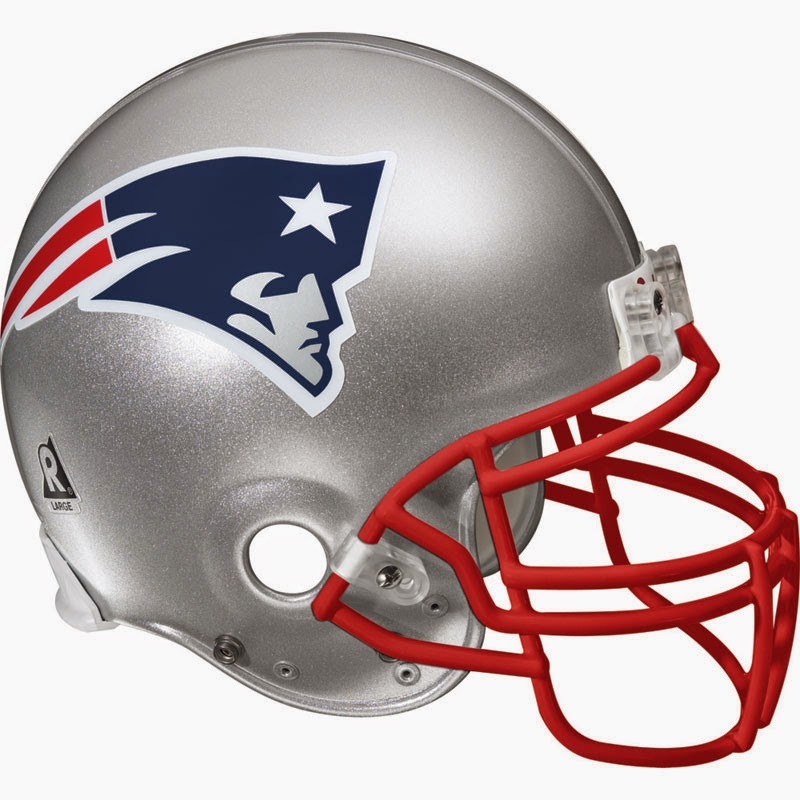 Edelman was one of the biggest fantasy surprises of the 2013 season, as he was drafted by most as the fifth skill position player on the Patriots, behind Gronk, Ridley, Amendola, and Vereen. Edelman burst onto the fantasy season in the wake of Wes Welker with a 105 catch, 1056 yard season, good for 14th among PPR wide receivers. Now, if the Patriots offense is to return to the form it is used to this season, it would be in their best interest to not have Julian Edelman catch 105 balls, but he is still one of Brady’s targets and his ADP as a WR3 just doesn’t make much sense. We ranked him 18th in our WR rankings. Last season Gronk only played in seven games, one of which he left early. If you take his stats from the six full games he played, Gronkowski would’ve outscored Jimmy Graham on a per game basis in PPR formats. When healthy, a strong argument could be made that Gronk would outscore Jimmy Graham over the length of an entire season, but obviously coming off major surgery is a concern. That leaves drafters wondering where to take him. Before the news that Gronk was fully healthy and cleared for training camp, he was being drafted in the third round, but in light of the recent news his ADP has soared into the mid-second. He has enough talent and volume to be the top scoring tight end even if he only plays 12-14 games, so draft him with confidence. We ranked him 4th in our TE rankings. Aaron Dobson, Danny Amendola, and Kenbrell Thompkins are the other receivers on the Patriots who are begging for different things in order to produce fantasy-wise. Dobson simply wants more snaps, as he couldn’t get on the field enough to put up stats. Amendola wants his health as he has been horrifically injury-prone throughout his career. Thompkins wants both, as he was derailed by a hip injury last year, but also doesn’t have enough raw talent to play a high volume of snaps. All three of these players are fliers at best, but Dobson has the best chance to break out in his sophomore season. We ranked Amendola 49th in our WR rankings. This article was written by @JSafon4596, a writer for Level Up Fantasy and Seattle Sports Soup. Jackson is a freshman at USC studying journalism and hopes to be a professional sports writer.